Though many other issues were discussed Sunday morning, the principal theme of The Jockey Club’s 64th annual Round Table Conference on Matters Pertaining to Racing was medication reform in the United States. – Just before Engelbrecht-Bresges had his turn at podium, Jeff Novitzky explained how he oversaw the development of the anti-doping program for the Ultimate Fighting Championship (UFC). Novitzky, a former federal agent, it the UFC’s vice-president for athlete health and performance. – Earlier in the 2 1/2-hour program at the Gideon Putnam hotel in Saratoga Springs, N.Y., Congressmen Andy Barr (R-Ky) and Paul Tonko (D-NY), spoke about the progress of the bill they co-sponsored, the Thoroughbred Horseracing Integrity Act of 2015. The bill calls for a national racing authority with uniform rules and testing handled by the United Stakes Anti-Doping Agency. The Jockey Club has advocated for a national approach, supports the Barr-Tonko bill and once again its yearly program for industry leaders was focused on the subject of strict oversight and enforcement. It is the approach that took shape during the long administration–1983 -2015–of The Jockey Club’s former chairman, Ogden Mills Phipps, who died in April. A video tribute to Phipps was shown prior to the intermission and Jockey Club chairman Stuart Janney announced that nearly $400,000 had been donated in Phipps’s honor to the Grayson-Jockey Club Research Foundation and The Jockey Club Safety Net Foundation. James Gagliano, president and COO of The Jockey Club announced that the organization’s safety committee recommends changes in the use of the riding crop and to the National Uniform Veterinarian’s List. Last year, The Jockey Club announced that microchips will be phased into the registration process and become mandatory in 2017. Gagliano said that microchips were requested for nearly 75 percent of this year’s yearling crop. 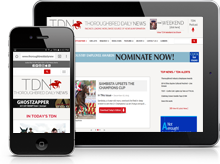 The move to higher tech in the breeding business took another step Sunday with the announcement that The Jockey Club will transition to digital certificates of foal registration in 2018. Nearly 9,000 miles separate Hong Kong and Saratoga Springs and Engelbrecht-Bresges delivered a lengthy presentation after making the long journey. He detailed how in 45 years the HKJC has developed its modest racing program into a world leader in quality and turnover, or handle, and how it reacted and rebounded when its business had a serious slump 10 years ago. Part of decline was an Asian financial crises and competition from casinos in Macau and illegal gambling, but there were other factors, too. “Those interested in the game were already in the game, with many who were aging. “Non-racing customers found racing not relevant – especially they found the racing fixtures, the race programs and the bet types very difficult to understand. “We were not appealing to the potential customer segments – that is the young people and the middle class. “We don’t have digital and mobile capacity. That review, Engelbrecht-Bresges said, led the HKJC to change its approach and contributed to the recovery and record numbers. The HKJC handled $13.8 billion on its 83 days of racing last season. Beginning in 2009-2010, the HKJC invested $800 million over 10 years in hardware improvement to offer what it called a “Next Generation Racecourse.” That plan touched all levels of patrons and owners. The HKJC already possessed high quality tech but allocated another $500 million in technology, in part to appeal to younger customers. Its Race Simulator app launched in 2012-13 had 350,000 downloads in two weeks. It is now developing a training facility in China and is involved in delivering its racing to an international audience that is drawn to its large fields. However, Engelbrecht-Bresges said the cornerstone of the HKJC business was keeping prohibited substances out of its racing. It controls every facet of its racing, including drug testing, having all vets who touch horses on its payroll, and its own state of the art lab. The United States needs to follow the lead of other racing countries, he said, and toughen its approach. Novitzky started his career as an investigator for the International Revenue Service and moved to the Food and Drug Administration, where he was heavily involved in high-profile doping cases involving Barry Bonds, Marion Jones and Lance Armstrong. He was hired to put the UFC anti-doping program in place. It started a year ago modeled on the World Anti-Doping Agency code and administered by the U.S. Anti-Doping Agency (USADA). Novitzky said that without exception, the UFC’s 529 athletes in 37 countries are subject to tests 24 hours a day, 365 days a year. First-time violators face four-year suspensions. He said that the first 1,200 tests yielded about 20 positives, a rate of about two percent. Noviztky said that if American racing moves to a national program with an independent administrator, such as the USADA, it will reap the benefits. Barr, who represents Lexington, Ky., said he was warned not to get involved in legislation, that other attempts had failed, and the industry was divided on the subject. He decided to try anyway and developed the bill with Tonko, whose district includes Saratoga Springs. “Today I’m proud to say our effort has been different because we set out to build a diverse and broad coalition of support, a coalition that now stands behind us and continues to grow,” he said. “Our inclusive efforts have allowed us to earn the endorsements from 17 different stakeholder organizations, which in turn has allowed us to earn support of more than 50 members of Congress and a growing interest in reform from both sides of the aisle in both houses of Congress. 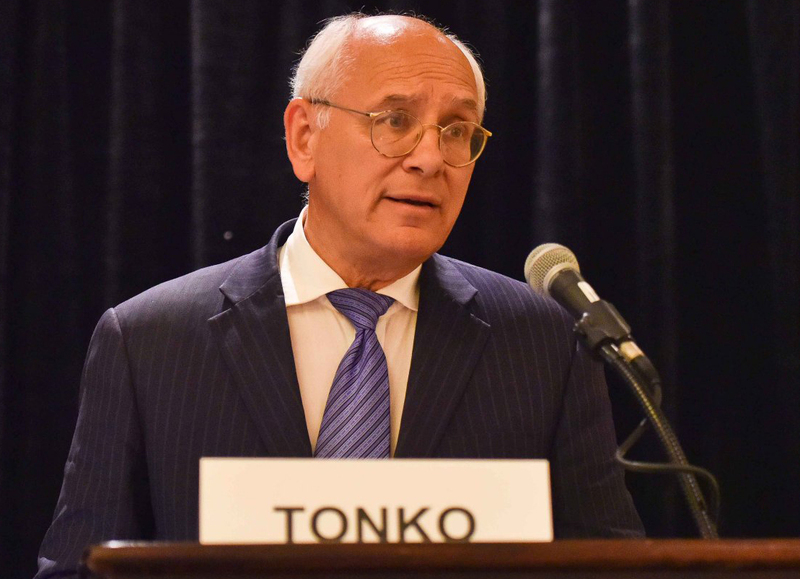 Tonko said that in a letter to him U.S. Senator Kirsten Gillibrand supports medication reform and her commitment to introduce a Senate version of the bill before the end of 2016. Kip Levin, CEO of Betfair U.S. and TVG said that TVG has grown and is flourishing since its acquisition of HRTV last year and continues to improve its product. Levin said Betfair’s exchange wagering platform, now in operation in New Jersey, has attracted over one million worldwide customers. The Jockey Club also unveiled a new logo for its main organization and its affiliated companies. The logo was designed by Cornett Integrated Marketing after a review of the organization’s history of logos and trademarks.